Ride-hailing companies will be required to have at least $1 million in liability coverage for all their drivers and vehicles. REGINA — Saskatchewan has approved ride-hailing regulations but it could be a while before companies such as Uber and GM-backed Lyft and drivers hit the road in the province's two biggest cities. Rules are to take effect on Dec. 14 but the minister responsible for Saskatchewan Government Insurance said he doubts services such as Uber or Lyft will be available then. Joe Hargrave said cities still have to pass their own regulations and service likely won't begin until early next year. "I'm disappointed," he said Thursday, adding he wanted consultations concluded before approving the regulations. "I would have preferred to have done it two or three months ago but I didn't want to rush it." Saskatoon has already passed preliminary bylaws around ride-hailing and Mayor Charlie Clark said he's heard some companies may be ready to operate by the end of the year but wouldn't say which ones. The next Saskatoon city council meeting is Dec. 17, but Clark said it's possible a special meeting could be called next week. "There has been some desire for sure to try and have (ride-hailing) in place for the busy Christmas season," Clark said. "We really are ready." It's a different situation in Regina where city staff are still writing a report, which will contain a proposed bylaw. It isn't expected to be presented to city council until early next year. Mayor Michael Fougere said he's been talking to the taxi industry, ride-hailing services and members of the public but wanted the provincial regulations in place first "so that we make sure we have a complete report." The regulations require drivers to pass an annual criminal record check and have their vehicles inspected annually. Drivers must have a commercial class or a Class 5 license, if they meet certain conditions. Ride-hailing companies will be required to have at least $1 million in liability coverage for all their drivers and vehicles. Uber Canada said Saskatchewan is the first public insurance issuer to create a blanket system allowing companies to purchase a single policy to cover all trips. Drivers will not have to change their personal insurance. B.C. and Manitoba are the only other provinces with a public insurance system. 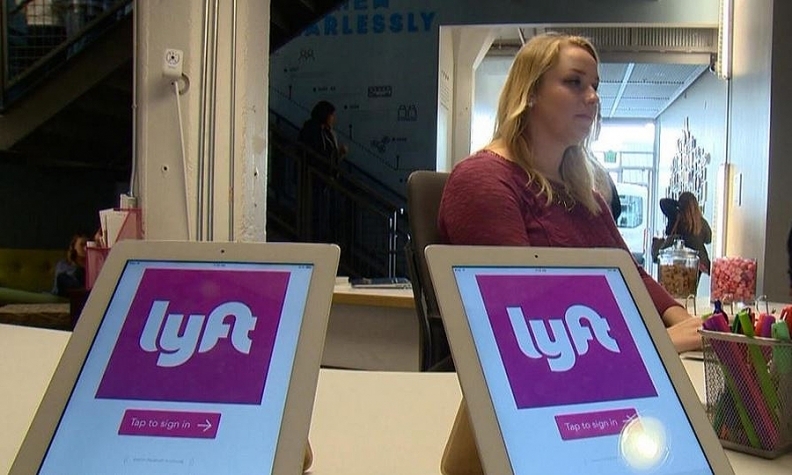 Both Uber and Lyft said in separate statements that they look forward to working with municipalities to update bylaws. The taxi industry has been opposed to ride-hailing, taking out billboards in Regina. Representatives from the Saskatchewan Taxi Cab Association and Co-op Taxi in Regina did not immediately reply to requests for comment. Michelle Okere, with Mothers Against Drunk Driving Canada, said the company has advocated for ride-hailing and is excited by the potential. "We do want to see more options on the road," she said. "It's not about ride-sharing or cabs or public transportation. It's about having a variety of options for people, especially in peak times."